I get a lot of questions about HGTV, so today I’m answering some of them. In programming news, they’re bringing back heavy hitters like “Flip or Flop,” which has a special summer series in the works, but they’ve got a lot of new shows in the works, too. Here are 6 of them that might be worth checking out! Husband and wife flipping team Kortney and Dave Wilson fix up outdated houses in Nashville. In each episode, they search for the perfect property and venture to sell it for top profit. You may remember when Ben and Erin told us what it was like to film a pilot for HGTV (and be mentored by Chip and Joanna! ), or when they gave us a tour of their charming Craftsman cottage in Laurel, Mississippi. What Happened to “Rehab Addict” on HGTV? Question: A lot of you have asked if “Rehab Addict” with Nicole Curtis has been canceled because you haven’t seen any new episodes on HGTV. Answer: It’s a DIY Network show, which means they air the episodes first. Season 7 comes to an end with the finale tonight. HGTV will show those episodes at some point, although I haven’t heard the air date yet. What Happened to the Design Shows on HGTV? I’ve heard from many of you who are unhappy about all the real estate and flipping shows and miss the true design shows from its Candice Olson heyday. I addressed some of your complaints here: “Why Do They Play the Same Shows Over and Over?” That was 2 years ago, but the answer remains the same today: Because it’s working for them. HGTV’s ratings continue to climb, with the network posting its highest numbers ever in 2015. It now averages 1.5 million viewers during prime time and is the #4 network on cable TV. Wow. There seems to be no end to how many shows people will watch about flipping and selling houses! The only show I watch on HGTV is Fixer Upper and while I can’t believe I’m saying this, that format is getting old! I used to watch and buy every single episode but Chip’s antics got too much for me and I only tune in to watch the final reveal. Years ago HGTV had wonderful shows on that I watched and recorded all the time. I even kept a notebook with notes on things I wanted to remember! It’s totally unwatchable to me now. 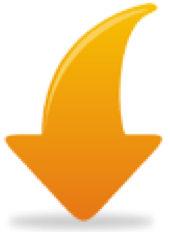 I can’t believe the ratings are as high as stated….I don’t know of anyone that watches HGTV now. None of the above new shows sparks any interest in me so I doubt I’ll be watching them either. Too many “flips” and “flops” for me! I so agree with you, Judy. Not everybody is into flipping and selling real estate. For those of us who are in our homes for years, it would be nice to see shows that feature design updates, changing furniture around and making our homes more “upscale” with interior design ideas. I couldn’t have said it better myself. My sentiments exactly. I agree completely. I haven’t watched an HGTV show in two years for the same reason. It should be called the Real Estate Network. I miss the old design and gardening shows. Now…meh. Yep, where are these high ratings coming from? People looking to get rich quick by flipping??? HGTV used to be our go-to station. At least 50% (and probably more) of our viewing time was spent there. Now, if we watch an hour or two a week, it’s probably by accident. I’ve caught some of the above when they had their one or two episode trials, and none of what I saw grabbed me. “Good Bones” was the only one I thought I might try to catch. The vintage flipper show (I haven’t seen yet) scares me. When I see how generically and tired-trendy most of these flipping shows are, I’d hate to see what they’d do with a cool old vintage house. Destroy whatever charm it had, is my guess. I agree…..I live in Orange County in an older neighborhood and I cringe to think what they will do to these charmers. I personally would never buy a house that had been flipped…….all the “updates” are done as cheaply as possible. Candace and Sarah are the only true talent HGTV has ever had. Bring them back, please. OMG…you guys couldn’t have said it BETTER! hgtv is a huge disappointment! and Lee you are exactly right, Candice and Sarah were two of the best shows on hgtv, and sadly, they’re no more! now they have all these ridiculous flipping shows with everyone buying these beautiful old homes and destroying them, all in the name of ‘contemporary and modern’ design!!! and as if that isnt enough, then we’re bombarded by hours of love it or list it, yard crashers, bath crasher, house crashers, island hunters, tiny house hunters, etc…it’s like i CAN’T with hgtv! we want real interior design shows and making it right shows, like Mike Holmes…sigh! i got cable to watch hgtv, nothing else…but it has turned out to be a COMPLETE waste of my time and hard earned money…so disappointed! ? I, too, wish there was a design show and garden show or two on HGTV. There are plenty of hours to fill to offer something other than the real estate shows. I loved “Fixer Upper” when it began. But at some point during Season 3, I stopped watching. Same with the Property Brothers. 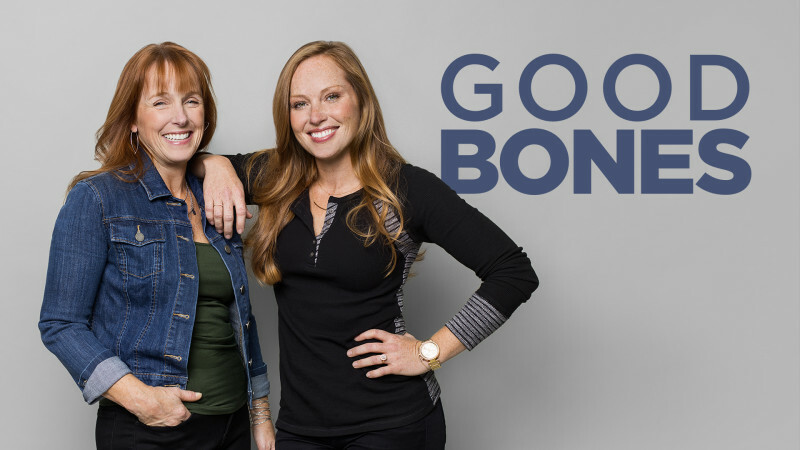 I’m excited about “Good Bones” because it has a middle-aged woman that can handle rehab. Where else is that shown? Also, Karen discusses crafting. Thank you for having a different take. But can HGTV show more of their decorating? Why are the better shows on DIY Network? The same media companies own both networks. I refuse to pay the extra money for the latter. BTW, you can see episodes of HGTV on its website if you still have cable. If not, try Ulive, which is free. Paula, what you say about “where are these high ratings coming from? People looking to get rich quick by flipping?? ?” is the complaint of SO many, in so many diverse situations-not just real estate. But the home shows, what literally angers me are the flip shows: lovely antique or vintage homes built by CRAFTSMEN who were pro’s & built quality that lasted 50+ years, to have some schlub come in with the ubiquitous Giant Hammer to bash in those walls… always with the bashing! Stop it! Don’t need to bash! I’ve seen some fantastic pink tiled bathrooms – you know the 1950’s chic- in perfect condition! be bashed in again to be replaced with what? yet another counter top, yet another tile, why tear it out?? if its a ’50’s house, keep it ’50s style. Why replace a Chevy Bel Air original chrome bumper with a 2003 Toyota Tercel one? I just can’t take these programs any more. It’s not about houses, it’s about greed and tearing down tradition. I really do think that is the real plot of these programs, in fact there is an article elsewhere representing these very same sentiments. I don’t keep things just because they are old or antique, but if it’s a quality made item and has value, why replace it? if it’s lasted this long, it must be made well. Oh, Kristin — soulmate! My sister and I get so annoyed when we see people turn up their noses at those vintage bathrooms. And then they put in some cheap Home Depot trendy stuff. And when they bash (I hate that , too) the tile, do you see how well made that old tile was? On an inches-deep layer of concrete. Or with the Craftsman houses they complain about how dark they are and want to paint everything white. Argh. One of the times I went on the Gamble House tour, the docent said that when the Gamble family was selling the house one couple came in and the wife complained about the dark wood work (!!! ), and her husband said not to worry … they’d paint it all white. That day, the Gambles took the house off the market and donated it to the state (city? I can’t remember exactly). Indeed we are soul mates. I did not know the story of the Gamble House, in fact I used to live right near there in South Pasadena- if that’s the same house? I know of a famous Craftsman there that someone turned into a historic thing or other. Good for him- no paint! I cannot stand the painting of the lovely woods, oh I need not tell you what I dislike and etc! lol we’re the same. Yes I have heard of Save the Pink Bathrooms- I think it’s “retrorenovation” now, at least by the same woman. Funny I can spot a genuine vintage tiled bathroom from a recent “made to look like old but it’s new” even from a small image on the computer, that site showcased a “looks-like vintage but new” bathroom. The old, original tiles are thicker and have rounded edges, and the colors just aren’t the same as today’s. Those laminate counter tops with aluminum edging require a specialist to install, yet buyers turn up their noses at it, but replace with Ikea or Made in China junk? But yes, I can no longer stand to watch any of those programs as all they want to do is destroy, destroy and replace with cheap junk that guess what- will go out of STYLE sooner than the old 40’s/50’s stuff will! In California a big turn off to buyers is granite counters. My pet peeve is recessed (can) lighting…. Hate It. People please do not paint wood. Wood is beautiful. There is nothing wrong with walls a bit darker than hospital white, in fact the wood tone creates a warm, loving home-y feeling and reflects the warm tones in the skin. Wood immediately welcomes the visitor, makes them feel “at home” and relaxed, a very natural feeling. I have a premonition that real wood paneling, wood ceilings, wood items such as ship-lap on walls will become very fashionable, but only the very wealthy will be able to afford it, since all of the wood in the homes has been torn out and/or painted so many times that wood will become almost a rarity. You’ll see, all this stuff they sneer at today will be in demand in the future so much they will have to make reproduction wood just to fill the demand and for the mass market who can’t afford the real thing. I agree completely! They have made Chip the buffoon (and I dare say, with his business savvy, he is far from it) and Joanna the ‘perfect’ one (well you know what I mean:) The show seriously needs to change: something, anything! The best part is the beginning and the end. But even the decorating is the same old, same old. I skip HGTV for the most part. I do watch House Hunters if it’s an old house or a foreign country I’d like. Even then I get so irritated with most of the people they find to look for houses/rentals! Now I think of it – maybe I should just forget HGTV completely and stick with Julia! I, too, am sick and tired of the flip shows. I would like to see something like decorating on a budget. I T-Totally agree!! What happened to shows that should you how to design and decorate. I use to get so much inspiration from them. I no longer really watch HGTV and it was my go to channel. I miss divine by design, designers challenge, decorating cents etc Now it’s all real estate shows- no thank you!! Do you know of any way to watch HGTV w/out having a cable or dish provider? We are so tired of our cable bill going through the roof! But my sweet hubby knows how much I enjoy HGTV! My husband discovered a service/app called “Sling”. It has a limited number of cable networks that you can either watch live or watch a certain number of older episodes of shows. It’s something like $20/month – which is way better than full cable! Between Sling and Netflix, we get more than enough enough TV options! Interesting! A friend mentioned Sling in passing the other day but I wasn’t sure what she was talking about. Thanks, Ann! I love my Sling TV. Food network, HGTV, DIY and all the sports channels for my family. Great deal! I still love Fixer Upper and have enjoyed Masters of Flip. The Listed Sister’s show was kinda meh. Can’t wait for more episodes of Home Town. Love the couple and the charm of Laurel, Miss. I am one of those people who still wishes for the old days of all the design shows. I barely watch HGTV anymore except for Fixer Upper and Property Brothers. I guess they have to do what makes the most money for them but it’s a shame that they can’t give us a least a little more design oriented shows. Oh well. Maybe that’s why blogs have become so popular! That’s a good point. I’ve often thought that after blogs and Pinterest took over the decorating and design how-to space, HGTV pivoted to focus on real estate, house flipping, and personalities. I agree with all of you! I miss Sarah Richardsons show more than anything! And why, oh why, do they show a gazillion House Hunters?? So sick of that show. Love Sarah to pieces! And Tommy, too. But Sarah’s last incarnation was more of a flipping show, too, and there was no Tommy. Sarah was almost a little manic trying to energize the show by herself. Or maybe that was the desperation of someone doing a version of herself (flipping) that wasn’t really her? I hadn’t heard of that — thanks, Sarah! I’m with Sarah. “Escape to the Country” is a great show and easily accessible via YouTube/Oloxxl. For anyone who loves old British cottages and the lovely English countryside, it’s quite fun. My other favorite British show accessible via YouTube is “Grand Designs.” For some reason, I have a bit of a crush on the host. Oh yes! I love “Escape to the Country” and there’s “Escape to the Continent” also. I love Alex’s channel and that he (or she?) has taken the time to post all the years’ worth of episodes! The pace of the show is so much more relaxing than many of the shows on HGTV. We cut cable over 7 years ago and now watching HGTV literally gives me motion sickness with the swish-pan camera work and wonky angles. Just watched a program called We Bought the Farm the other night. I missed that one, but the title sounds fun! I’ll have to look for it. I’d watch something like that, Jason! Yes! Kirstie Allsopp and Phil Spencer – very popular in the UK. I loved their show, ‘Location, Location, Location’. Now I can’t remember where I watched it . . but you learned SO much about buying a home. And I just loved Kirstie and Phil (great chemistry between the two – as friends – they are both married) – they didn’t make the show about themselves (like so many HGTV shoes) but rather the couple they were helping. I have seen ‘Escape to the Country’ just once on HGTV, I believe. Thanks for the info on where I can find it. Another show I loved! There was another old British show called “Home Front” that I used to love. They always had a segment on refurbishing some part of the house using traditional methods. You’d think learning how to clean and refresh a Victorian encaustic tile entry way wouldn’t be as fascinating as it was! I loved that one also! I guess I must have watched it on BBC America a long time ago. Will have to look for it on YouTube. I miss Candice and Sarah and the design days of old. I’m HGTV’d out with their current formats and really do not enjoy watching a repeat show of Property Brothers, like Listed Sisters. I tried watching Good Bones too and no thanks, again, it’s more of the same. And like when the radio plays the same song SO much and you just. can’t. listen. anymore…I fear the same thing will eventually happen to Fixer Upper. Hey, Jo and Chip have quickly run with it before the steam on that engine falls out and good for them, but the non-stop repeats of a show that has only been on for 3 seasons is a bit of an overkill from HGTV. And trust me I love it – I even went to Waco this year to go to Magnolia Market and love the style. I just really wish more design shows could be mixed in and create a better balance. And another commenter is right – I find myself reading more blogs and watching less and less TV. So far I do not care for Listed Sisters. I do not know why. Not sure if it is their personalities or what. I have seen Good Bones and have like their show very much. What I am most looking forward to is Vintage Flip and Home Town! Do you remember the High/Low with Sabrina? I loved that show. Junk Gypsies used to be on HGTV and now I cannot find them anywhere. I’m looking forward to Home Town because I’ve been reading Erin’s blog for years now. Watched the first one and enjoyed it. I do really like Fixer Upper, but I hope they don’t let Chip get too out there! I think Joanna is very talented, but I was glad to see the mid-century home they did just to see if she could design anything other than farmhouse-type homes. I’ve watched Good Bones a couple of times. I have a problem with her half-brother and his crew consistently screwing up the demos – would you really have someone working for you who was causing problems? Haven’t watched (and probably won’t) the others. As with all networks, I realize they do what works, but overkill gets pretty boring. I do miss Sarah and Candace and as someone above mentioned, the constant granite and stainless steel whining keeps me from watching House Hunters and HH/Intl unless it’s in a city I have an interest in seeing, then I fast forward through all the ridiculous buyer dialogue. Probably more info than you wanted. Really appreciate your blog by the way! Yeah, I know what you mean about the brother on “Good Bones.” Is that supposed to be comic relief? Maybe, but it makes me nervous! Ha. I think the screw-ups are totally staged to add drama. Like the one episode where he “accidentally” threw out a lot of trim and Karen magically knew how to make copies out of plaster–that felt like it was all done so Karen would have a craft project to show off. Oh my! It’s good to hear others are sick of Property Brothers and Flip or Flop. I loved Sarah Richardson too… had quite the ‘girl crush’ on her and Tommy, her sidekick! I prefer shows that are continuing episodes of one major renovation rather than one miracle redo or flip. I was hooked on a show on the DIY Network hosted by Daryl Hall of Hall and Oates. He restored his 1700s home in Sherman CT. WOW. A new show is coming soon on HGTV called Stone House Revival (?) or something like that. Bucks County PA old stone houses getting a rehab. I could watch that. I’m done every other flip or bones or rehab. The worst show ever is First Time Flippers – there are several versions, all awful. All I can think of is the poor family who buys someone’s first time flip. Scary! Hmmm, that’s a different house than the show I watched. Here’s the one I mean. I remember that one from the show. The one I featured was one of his he restored several years before, I believe. I’m really looking forward to the Bucks County show! It’s so beautiful there and the stone homes are to die for! I’m with the Candace and Sarah team. I must admit though, I did not like Sarah Sees Potential.. I like to see her and Tommy together! Yes, and Sarah Sees Potential was basically another flip show. Most of the design advice was stripped away to concentrate on comparing which house to buy. Sad. Whatever happened to the “G” in HGTV? So many wonderful gardening programs, none of which are around anymore. I seldom watch HGTV anymore but I read many gardening blogs. Not a fan of Property Brothers or Listed Sisters, just too overdone. Flip or Flop can get a bit too much at times, which is why I enjoy Good Bones. That show is fun, colorful, and eclectic. Masters of Flip is the same format and I enjoy it. 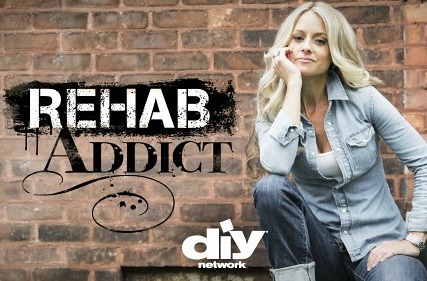 I’m looking forward to Rehab Addict’s new season. Emily Henderson had a cool show for a while and would like to see her new ideas on HGTV again. I have to agree with many of the comments I’ve already read on here; there are just too many flip shows on HGTV today and I’m disappointed to see that is basically all their adding in the new lineups. HGTV has a great thing with Chip and Joanna and trying to duplicate that show is a real turn off for me. Everyone wants to meet, be and decorate like Chip and Joanna, including me. I’m not getting my own show and I don’t think every young couple out there should, either. It’s getting boring. I feel like I’m watching the same show all day long with hosts I don’t enjoy at all. It’s similar to what they did with Love It or List It , Too. Yuck. Just yuck. Too much of a good thing (no pun intended!). I hope they get back to some shows about decorating and gardening, but I don’t have high hopes. I never thought I’d say this, but enough flipping already! We don’t need sisters who are like the Property Brothers. It’s just plain silly. And while we’re complaining…I think that HGTV needs to drop the word “entertain” from every single episode of House Hunters. It is downright ridiculous and it’s obviously scripted because kids in their 20’s don’t use that phrase when they’re having friends drop over. I have three of them, and I know better. And then on that note…why is most every “house hunter” a 20-something who lives in Georgia? I know a lot of people in their 50’s who are downsizing and have plenty of money to spend on nice, well appointed, smaller homes. How about showing us some of those? Naw…they’re too busy showing “tiny homes” which was fine until they ran out of them and started using campers in their places. Ugh! I guess I’m just struggling with the fact that I’m no longer their chosen demographic! Ha ha! Maybe it’s time for a new channel?! This comment summed up my thoughts to a tee! Right down to the “entertaining”! For a short time I thought they were selling to a USO troupe. Like many others, I also miss the old HGTV. Perhaps HGTV should start another channel called “HGTV Classic.” We could see all of our old favorites, which would probably feel like new shows to us all over again since we haven’t seen them in so long. I particularly miss the decorating shows, especially Mary Emmerling’s Country. Love the idea of an “HGTV Classic” channel! Maybe someone should forward this whole thread to them. Absolutely everyone I know has stopped watching HGTV for all the same reasons expressed here. Can’t help wondering if they cooked their ratings books…like if you tell them they will come…not. My answer to why no design/decorating shows is a bit different. HGTV, well TV in general, is like any other business. Let’s compare it to say, a grocery store: They ‘stock’ certain items, find that people like them and continue to keep those items on the shelf because they see customers are buying them. But……. But…does that mean IF (apparently a big IF) HGTV were to start airing their “old products” like design shows, they’d lose their followers/viewers? I think the answer to that is, yes, for awhile at least because viewers are pretty faithful in general to a “store”. Still, I believe viewers would be thrilled and be happy viewers if the “old products” (i.e. design shows) came back. See, we all more or less get used to the ‘products’ any store sells. We have to shop somewhere, right? And since there are, in all practicality, only two stores to shop for in the home design/decorating/fix-it arena (HGTV and DIY networks) we are essentially stuck with ‘buying what they stock’. Get it? We’ll keep watching them as long, and until, they start airing something different!!! It’s a simple business concept: Stock what customers buy because if you stock an item people don’t want, it’s taking up shelf space. It’s too expensive to stock and/or floor plan an item that doesn’t sell. So….what are we to do about HGTV/DIY “All flip/no design/decorating/gardening” shows? Well, we can keep writing to HGTV’s execs telling them we want (demand) something different with explanations of “We’re tired of the same old/same old”. Viewers could cancel their cable/satellite subscriptions that carry these channels. (Oh the horror, I know! Some of you are very very attached/addicted to TV). There are ways to let HGTV/DIY know we want different “products on the shelf”. It won’t happen overnight because they’ve got a good thing going. BUT, if enough people start showing in one way or another, that they DO want to go back to more “home and garden” and not so much “TREC” (The Real Estate Channel – how’s that for calling it like it is! ), we might just see a change. Wow, Julia! This topic has certainly sparked your readers’ interest! I agree with much of the sentiment expressed above. 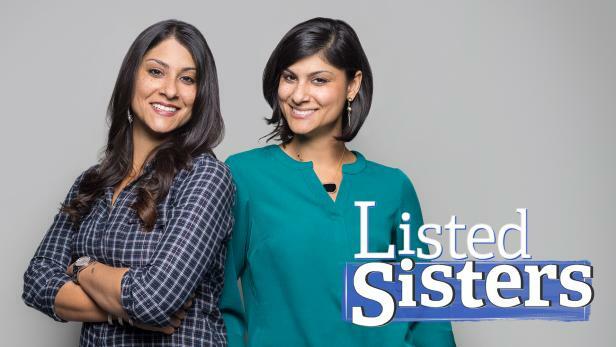 I am looking forward to checking out Listed Sisters, mostly because I really like Property Brothers buy and sell. This is my favorite of all the Property Brothers shows, because it shows how much can be done with a small budget (usually between 5,000 and 15,000). I have not watched HGTV years. House Hunters always, always annoyed me. Everyone lamenting the lack of stainless and granite in each and every home. Really?? I blame HGTV for the glut of that stuff. Youa re telling me there is no one out there that doesn’t want the usual? As for flipping houses, the current real estate market is so awful in so many places, I actually find the idea of flipping offensive. A 400K “fixer upper” in California goes for over $800K when fixed. Who is that for??? Reminds me of 2007 all over again. I seldom watch any HGTV programming any more. I don’t like the cookie cutter house look, all the emphasis on “open concept”, etc. It’s just Rehab Addict for me, as an old house devotee. I don’t mind the style in the Fixer Upper show, but (and maybe this is just me) I can’t watch that couple together. Chip acting like a 4 year old, all proud of some job he’s just done, and Joanna saying, “Good job, buddy!” in a kindergarten teacher’s voice. Just no. I’ve finally started hearing a few lone voices in the wilderness complaining about “open concept” and wanting really rooms. Yeah, and Joanna really does treat Chip like a toddler sometimes … well, because he acts like one. Did you see the one where he ate a cockroach??? What the blooming heck? I think the episode where he ate the roach is what did it for me….I almost threw up! How can anyone do that and think it’s cute?! If I had been the buyers, I’m not sure I could have gone forward with him at that point, and how Joanna could give him a pass on that….just no. I agree that she speaks to him like one of her kids but again, he does act very childish at times. I’m still on board with Fixer Upper but I think they’re about to run their course with that show, sad because it really was one of HGTV’s best shows in years. I recently ran across a Candice Olson program on one of the extra digital channels, probably Ion Life. That network seems to rerun a lot of OK half hour how-to shows from other sources. I decided to go sans cable a few months ago and I can’t say as I’ve missed HGTV particularly. Watching gorgeous ladies pretend to fix up dilapidated houses only hold my interest for so long, I guess. BTW, I now get all TV my either from the Internet or free over the air. Living in the middle of Dallas/Fort Worth I have great airwave reception on something like 50-60 channels. I like all the added extension channels they have nowadays. Our PBS station recently added the Create channel, which mostly runs PBS half hour how-tos 24/7. I almost always find something interesting there. Since we don’t have cable, I only see the selections that make it to Netflix. But considering how long they do re-runs I’m probably not missing much. I’m looking forward–hoping our episode makes it to Netflix :). Hope Netflix picks up these new shows too eventually. I also miss Sarah Richardson! Glad to hear there are other HGTV fans who feel as I do. What happened to a variety of decorating styles? From program to program, everything looks the same, as if a certain style is being pushed. The formula for the programs also seems to be the same: ‘We have X amount of money to work with and we will do “this” with that money. Oh no! Now we have found ____ (termite infestation/knob and tube/broken water main/name disaster of your choice) and will either need more money or not be able to do what we said we would.’ I always wonder why the home inspector didn’t find these things. It’s gotten so that if my husband walks into the room when HGTV is on he’ll say “knob and tube” and walk out. Definitely missing Candace Olson and Sarah Richardson. Love their designs even when they aren’t particularly my taste because they are always well executed, unlike other shows where you can see the sloppy painting and shoddy work. I also felt I learned a lot while watching them. There used to be a program where three designers sat down with clients and discussed the clients’ needs, wants and tastes so the decorating style for every show was different. Each designer presented a design, the clients chose their favorite, the work was done, big reveal. It was interesting to see how the design was interpreted three different ways. I also miss the program that reproduced high end design rooms for less money (can’t remember the name), ‘Designing for the Sexes’, Michael Payne and Lisa LaPorta. Candace Olson, Sarah Richardson, Michael Payne and Lisa LaPorta were always professional. There was no “drama” or sarcasm, they weren’t disrespectful to their co-hosts or clients either to their face or behind their back and they spoke intelligently instead of sounding like they were reciting a script they memorized. I’ve caught a few of the shows mentioned above in recent months. It appeared that HGTV was doing “test” markets on them. Hopefully, it will add a little variety to the mix. I liked Good Bones (for the Indy aspect, too, Julia! ), and I think Home Town looks sweet. I, too, am so tired of all current programming, especially Flip of Flop…I’m really not a fan of the California-style architecture that appears on every episode. I, too, am bored with house flipping (and trust me, I’ve been doing it myself for ten years and five moves!). I miss decorating and gardening shows. I had a great idea for a show the other day. Everyone talks about “simplifying” these days, and “downsizing” (maybe not to the tiny house extreme). It would be great if there was a show that helped a family do that! They could have someone like Peter Walsh help the family get rid of half their stuff, then have a realtor help them find a house half the size, and then a decorator to show them how to maximize storage and space. Now that’s something we could ALL use! Maryrose -Pitch that show idea to HGTV. I bet there are lots of folks that would enjoy that as storage always seems to be an issue no matter what kind of house you have. I’m also in the “old” HGTV camp, I love Sarah and Candace!! I haven’t watched any of the news shows and probably won’t, we taped the pilot for Home Town and couldn’t through the first 10 minutes. They seem nice, but just wasn’t for me! 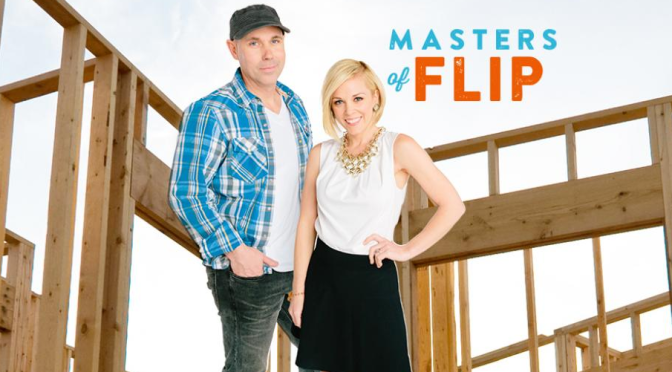 The couple on Vintage Flip were on an episode of Flip or Flop as “friends” of Tarek and Christina, that they paired up with to flip a craftsman. Should have known they were using that for a spinoff! When I see things advertising HGTV Canada, the shows look so much more appealing, I wish we could get that channel!! I missed that episode, apparently — didn’t know they were on “Flip or Flop” first. Interesting! And I agree, I wish we could get more of the HGTV Canada shows I hear about. These shows are fun, but not always realistic, in terms of buying/renovation/selling of real estate. Always amazes me that they always seem to have contractors lined up so quickly as well. Ah, the magic of television! I know, my husband and I always say the real fantasy is that they have contractors lined up and working steadily until the job is done in 6 weeks (or whatever). Ha. I love the idea of HGTV Classic channel. I don’t bother watching HGTV ever because I don’t like the flipping shows, house hunting shows (except the international version) or fake drama. I crave the decorating, craft and gardening shows of old. In fact, I wish they would sell DVDs of some of them. I never miss an episode of Flip or Flop…. House Hunters…House Hunters Renovation……House Hunters International. I don’t care for Tiny Houses. Just get yourself an RV! I do watch Property Brothers half the time. But can’t stand Love it Or List it, AT ALL!!! I miss Candace Olsen and Sarah Richardson something terrible! I got so frustrated hearing about the new Sarah Richardson series on Canada’s HGTV that I wrote and asked why HGTV US doesn’t air her shows anymore. The response was pretty lame and non-specific about ”licensing” issues. Personally, I think that’s code for money issues. It sounds like they outsource their customer service communications to folks who aren’t really connected to the company and don’t have any real insight to what’s happening there. I LOVE LOVE LOVE HGTV, but I want MORE episodes and MORE variety. My favorite is Fixer Upper but I fear they are being over exposed. The reruns are excessive. I hope they’re saving their money, for fame is brief. I DO NOT like all the copycat shows and the fake scripts. Renovations are wonderful, but let’s see some DIY, various home style building and/or decorating. Variety is the spice of life! Now that Candace and Sarah are gone there is absolutely nothing about design anywhere on television worth watching. I cancelled cable. Don’t miss it a bit. Now I get my design fix from blogs. Like this one! I just watched an episode of Listed Sisters for the first time. (After reading about it here!) The editing drove me nuts, switching cameras too quickly and panning too fast. I couldn’t concentrate on the show! Speaking of classic home shows… I fondly remember Kitty Bartholomew and Carol Duvall (?) as being my first TV home decorating teachers. Later it was Christopher Lowell. Another HGTV show I absolutely loved was “The Stagers.” There was one male stager who was just so incredibly passionate about his job–it was a great pleasure to watch. “Kitty…Kitty…Kitty” I loved her show! I can still remember her showing us how to create faux malachite. She made everything look easy, and, best of all, good. “The Stagers” was one of my favorite shows ever … even the passive-aggressive mom with the bitchy daughter. Was his name Matt? The guy who was so into his work? Did you know he had a twin? Can you imagine raising two of him? It was so interesting to watch them take a cramped place or one with weird angles and make sense of it with the furnishings. Even though the show was specifically about staging, they had a TON of great decorating, space-planning ideas. I agree that HGTV and DIY network are too full of the same thing. I love Fixer Upper and prefer when they stick to the farmhouse style which is their signature style. The French Country that they did and the Victorian for the B & B were fine too. But the mid-century modern… I do not even like the style and even though I love Rehab Addict when she did her grandparents home I had trouble watching that. I like when people kind of stay with their “thing”. That being said, I think Fixer Upper, Rehab Addict, and Property Brothers who are all working on different styles and different regions… is just fine. House Hunter’s drives me nuts because of all of the demands. Especially when it is the International… I feel like screaming at the TV… hey, you are in Paris or the English Countryside or wherever… live as they live or leave !!! Do you not see the beauty of where you are ??? I too miss not only Candace Olsen, but the show that had a woman who did money saving makeovers on a very modest budget (Cents- something ???) and I miss Matt and Sherry who did the decorating show… and I miss a few craft shows every now and then. I like the Yard makeover shows, but there are too many “crasher” shows now and the only ones I really enjoy are those that involve the homes they give away where the people from the crasher shows get together and create a new home or renovate a home. To me, the best ones are the ones that have things you can learn or take away and do at any price point; or hire someone to do if you can. I miss the mix of shows on both HGTV and DIY that “real” people could do or aspire to. So much is out of reach. I don’t have $800,000. to spend on a home… but even the Love It or List It shows have something you can learn as the budget to fix is always lower than the budget increase to buy. I know that people like a variety of things… and yet, as I can see here… there are many that live in the real world and want to see things that they can either do for themselves or see as a possibility for the near future. Of the new shows above I have seen or read about them all… the only one I like is “Home Town”. It is like Fixer Upper but they do so much of the work themselves so they are like the Gaines plus the Harpers in one ! And they are really down to earth. The others to me are just a different place with the same old song. I do not like Flip or Flop at all. It is an upgrade from the Las Vegas couple where the man screams at his wife that was on ION or some other channel. I have seen a couple of the British countryside makeovers. I like them. To me, the more realistic the better. The more attainable, the better. Once in awhile a million dollar home or a special series like the Daryl Hall home repair is good. Unique. But Vanilla Ice and other celebrities that do makeovers… I find them really awful. And whiney. If enough people turn off the TV so they don’t get the ratings… and if enough people write letters. Real letters… they still work better. Harder to ignore a pile of mail. Easier to hit the delete button. If we stopped watching TV because there is nothing we want to watch on, the networks and cable show would change. The problem is we mindlessly watch instead of looking at what is on and turning off the TV or computer or whatever we are watching. That would help to get the message across. There are whole days where I watch DVD’s (they used to sell DVD’s or its predecessor a VHS of shows)… I wish if they are not bringing back the “classics” that there was a place to buy them. A Canadian decorator Lynette Jennings I believe… her show was also good. I no longer have a garden, as I am in a Townhouse (but hope to be moving again soon) so I also miss the gardening shows. I shop in several grocery stores and I go to local hardware stores as well as the big box stores. Most of the big box stores sell things from China. I want to support American industry and small businesses as well. Most of the time the workers there know more than in the big box places. So while I understand the analogy that one writer sent in about grocery shopping and such… I go to certain places because I want certain things and a good buy. The same is true for how I watch TV and spend my time in general. But if so many people are unhappy, we need to talk to the right people and not just each other. Love your Hooked on Houses. I believe it was from your site that I found out about historicproperties.com. Not sure but in my wanderings from your site… I did. There is so much value in what is really here and the things that have lasted in the homes around us. UP has a show called Handcrafted USA or something like that on Tuesday nights… they make some amazing things all over the country. But, the things they make are for most Americans unaffordable… still they inspire. There has to be a bit of common ground in the middle of all these choices. Bonnie Jean – Decorating Cents! Used to love that show. Thank you ! I was losing my mind trying to remember the name of it !!! “Speaking of classic home shows…” There also was a diy show called “Do It For Yourself” way back. It was a man who showed how to repair things around the house. I enjoyed the practical knowledge. Anybody can hire a contractor. I stopped watching HGTV three or more years ago and was lured back by a few episodes of “Fixer Upper.” I’m tired of its fake drama. I can’t stand the real estate shows and the insistence for granite counter tops and dark wood cabinets in every little house. Blech. Believe me, I’m a demographic the advertisers would love to reach. I make due with Pinterest and blogs like this. Long live the internet! A terrific blog post. This has sure been a fun and informational comment thread. Seems a huge number of us would quickly support a change back to the HGTV of old. I’m really at a loss for why they turned away from the people who MADE them what they are. It’s so frustrating to know that Canada gets to see different shows than the US. Too many of the “flip” shows aren’t done by actual designers so I’m seldom left feeling like I’ve been inspired by something new and creative. I’m thrilled to find out about the YouTube UK shows! Thank you Sarah! Sadly Canadian TV gets a lot of shows we liked here. There was a show called Heartland for those who like horses and farms. It was a drama but family friendly. They have already done two more seasons in Canada… but nothing here. Really miss it. Different genre than we have been discussing; but just to illustrate that we are being left in the dust and we need to let our cable stations and networks what we want to watch somehow. I’ve stopped watching Fixer Upper too because it’s literally the same episode over and over. I think Joanna has far more style than just how it’s shown on the show. I do watch Good Bones but that’s it for the network for me. I’ve been watching more DIY network because of its variety now as I can’t stand all the real estate stuff anymore! Coming from Canada, I’m tickled to read all the comments about missing Candace and Sarah, both Canadian designers. I emailed HGTV several years asking them to rebroadcast Homes Across America and Dream Drives. Beautiful homes are still beautiful a dozen years after being featured. Sadly my favorite channel is mostly a yawn anymore and I seldom watch. We’re not all looking to move or flip a house but those of us who enjoy decorating, it’s an ongoing process. Miss the old HGTV. Years ago I used to pick my cable package by whether or not they had HGTV. Now, who cares. I miss the old days of decorating on a budget, who can afford $10k to decorate a bedroom. I miss the how to shows, gardening shows and House hunters when normal couples making average incomes bought a small home. Does your average young 20 year olds really spend 300-400k on a condo? One positive thing about the repetitive shows that are predictable is that I get more done because I am not watching HGTV for hours any more. What happened to the do-it-yourself design shows on HGTV? Or the craft shows that showed you how to make affordable items to decorate your home? Or the gardening shows? After all, that’s what the G stands for in HGTV…Garden! They might as well change the name of the channel to Real Estate TV. The current HGTV is such a snooze…really great if you need to take a nap. LOVE We Bought the Farm. I hope that one makes it. That is my dream! Completely over Fixer Upper. You know exactly what the finished product is going to look like: shiplap from here to eternity and rustic everything. I like the look, but I’d like some variety. I liked it in the beginning when they really DID take the worst house on the block and turn it into a home. Now they’re just doing houses that need to be updated. Yes! I still remember the first Fixer Upper I saw — an old country Victorian that was a WRECK. It was such a thrill to watch it come back to life. I wasn’t completely sold on Joanna’s decorating (not really my style), but I appreciated seeing something restored like that. Since nearly every other reno since has looked much like the others I lost interest quickly. The HGTV of old was wonderful – I loved the variety! Decorating, gardening, etc. I wish that they would start another HGTV channel and just rerun their classic shows. That’s a great idea – rerunning old HGTV shows on a different channel! I am so glad to see this thread! I, too, miss the decorating shows on HGTV. Sarah Richardson and Sabrina with the High/Low Project were my favorite shows. Sick of all the flipping shows and the repeats! I have no idea where the the high ratings are coming from. I wonder if HGTV would listen to us if we flooded them with emails asking for a return of more decorating shows? It would be nice if all of these comments could be forwarded to HGTV! Where is the creativity and originality on HGTV? Lost in boring real estate shows. After reading all of the comments I can see where you are all coming from. Most of the shows that have been mentioned have just started here in Australia on free TV. I instantly fell in love with Fixer Upper, I don’t mind Flip or Flop & as for House Hunters & Tiny Houses…Why? Good Bones started a couple of weeks ago but haven’t seen it yet. We also get Escape to the Country although they are 2009 episodes. Also have Grand Designs UK, (still love it) Australia & now New Zealand & a couple of UK Restoration shows. The one I can say is this, these shows are still a billion times better then any “house” show that is made here in Australia..They are ALL pretty much the same format, that is, that they focus more on the fighting between couples or teams & the “drama” then the building,renovating, design or decorating. The reason we watch these shows is for the houses & ideas & sadly that properly doesn’t rate as well(well here anyway).. The new shows from the USA or Canada are a breath of fresh air!! Many years ago (I’m talking early 90’s) I loved HGTV. They had such a variety of shows, something for everyone. They had sewing, quilting, garden, craft, interior design shows. I learned so much from those and could find practical applications for myself. Now all the shows are basically the same over and over. I enjoyed some of them when it was new but I am so over it now. I wish they had a variety of creative shows that would inspire and actually teach us. t print what it’s nickname is now 😉 It’s sickening and if we all knew what went on we’d never watch network tv again. I stick to old time radio and tv has gotten so bad I don’t even have it on for background noise anymore. I love hgtv but their are too many shows that are the same now. I have tried to watch “good bones” but cannot handle listening to the mother and daughter talk the whole time. They only show clips of them talking about the house and what they want to do… not the actually transformation progress. It rarely shows them doing any work. I can’t see this show lasting very long because it’s just like every other show on hgtv. haven’t heard anything since. All in all – glad I found this blog. So agree that it should be read by HGTV big wigs! HGTV Classics- YES!